PlopKexec is a Linux Kernel based boot manager for auto detecting and chain loading Linux distributions on USB and CD/DVD drives. 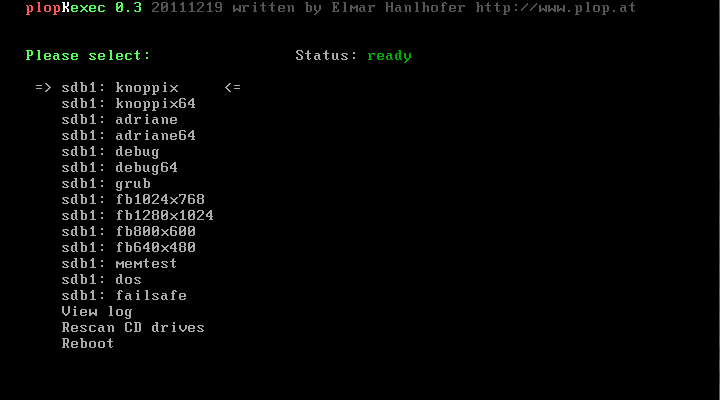 You can start PlopKexec from CD, USB or any Linux loader/boot manager. To start PlopKexec from floppy use the 0.3 version because of the size. You can boot Linux from USB even if there is no Bios USB support. PlopKexec is based on a Linux Kernel and can load only other Linux kernels! PlopKexec is not a fork of kexec-loader.